WHAT IS STEAMPUNK CLOTHING STYLE? Steampunk clothes are a genre of fashion clothing that consist of a mixture of the Victorian era as well as the industrial revolution, which took place in Europe in the 1800s. This type of fashion consists of not just clothing, but hair, jewelry, as well as makeup. People usually prefer to wear these costumes on special occasions, such as steampunk, anime or cosplay conventions. Some however, like to wear these costumes every day as well. As mentioned earlier, the concept behind this fashion genre is to emphasize the Victorian and industrial revolution era; therefore, the type of clothing usually consists of bustiers, which are a form-fitting garment for women, and bodices, which are another type of clothing that cover a woman’s body from the neck to the waist. In the early days of the introduction of this genre of clothing, most clothes were handmade or custom made. However, with the spread of this community, many businesses came into existence to sell the clothes required by the people of this movement, which were available both, online and in retail stores. This genre has existed since the 1980s however, it has remained almost unchanged in terms of the style of clothing. Only minor changes such as the introduction of related gadgets have been included to go with the clothing. Jewelry was also not quite common in the early days of this movement but it has been slowly incorporated into the outfit around 2010. During the early stages of this movement, there was only one convention, SalonCon, where people from this movement would gather. However, with the passage of time, many similar conventions are now present. early 20th century, skirts with flared hems also become quite common in the steampunk movement. Beads, embroidery and bangles were also included in the making of the complete outfit. period, as well as different Sci-fi novels to create an almost fantasy-like futuristic yet timeless vibe for the clothing. The first steampunk novel written by Kevin Jeter in 1979, named “Morlock Night” is said to have triggered the entire steampunk movement. Steampunk clothing has been in the works for a long time and it is as early as 2010 that high end brands such as Prada, Dolce & Gabbana, Versace, and Chanel took notice of this genre of fashion, and incorporated them into their respective fashion lines. It was also introduced in an episode of the famous television series; Project Runaway, after which, the movement gained proper standing. In 2010, the movement also started being featured in movies, photoshoots as well as television series. Iconic movie, Sherlock Holmes, also makes use of steampunk fashion to dress the actors. products and protein complexes. It is a safe to use dye and is not made from any animal by-products. 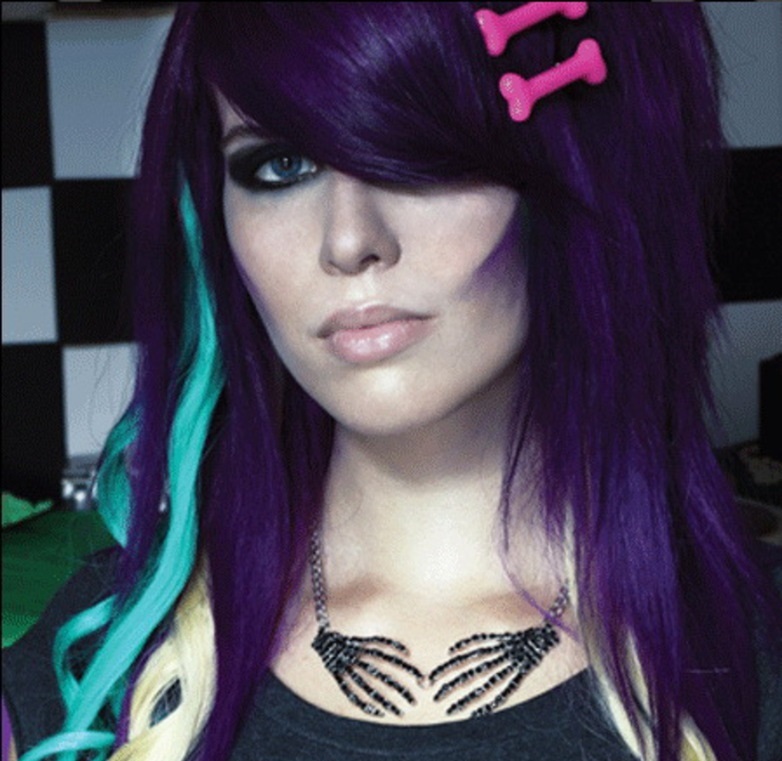 Manic Panic hair dye comes in many vibrant colours of pink, blue and purple and can be used on blonde or pre lightened hair. However, it is always recommended to do a strand test to ensure on how the dye looks on your hair. 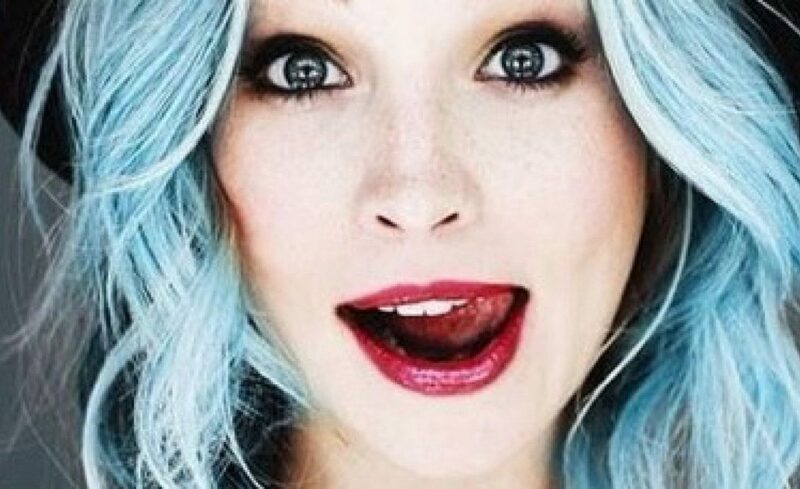 The best part of this dye is that it is not tested on animals but rather on celebrities. It is a 100% safe solution as it is made from completely natural ingredients and does not destroy the hair. Rather it has restorative properties and acts as a conditioner. 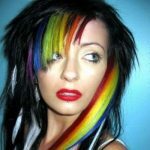 Manic panic should be used exactly in the manner that is mentioned on the packet and peroxide or any other permanent colouring solutions should not be added. It may temporarily stain skin and permanently stain the clothes you are wearing, towels and the bedding so make sure to not wear anything fancy. Do not use any alkali based products as it may disturb the pH balance required for the maximum absorption of the product. Low pH and non-alcoholic products are recommended. This brand was established in 1977 and the vibrant rainbow coloured dyes were among their first products. However, it was in the 90s that due to their heightened demand, did their production expanded. In 2005, Manic Panic introduced an amplified formula into their products that helped the vibrant dyes to last longer. Their products are completely vegan and cruelty free and are accredited by PETA. Be careful as to not to come in contact with eyes, eyelashes or eyebrows. If it comes in contact with your skin and causes irritation, rinse it with water immediately. For best results, use it on tinted, naturally light or blonde hair or bleach your hair before using the product. When used on darker hair tones without pre-treatment, the result may vary depending upon the colour and texture of the hair. This is a cream based hair colour with easy to apply techniques so that you can get vibrant hair and comes in a lot of quirky colours. This is a semi-permanent hair colouring solution that will eventually wear off. The hair colour may last anywhere from 2 weeks to a month. If you do not want a full head of bright and glossy coloured hair, streaking your hair with any colour from this vibrant collection is a good alternative that makes your hair look cool and makes numerous hairstyles even better. After applying the dye, place a plastic cap on your hair and leave the dye for at least half an hour for the colour to settle in. Leaving it for prolonged time will not harm your hair as it has conditioning properties. 5 gothic accessories that bring out your darker side South China Morning PostDark accessories are making a comeback – check out our collection. A service to celebrate Easter Day from St Luke's Presbyterian Church in Auckland Radio New ZealandThe 2019 Easter Day Church *service* from St Luke's Presbyterian Church in Auckland, is conducted by the Reverend Glyn Cardy. Copyright 2018 - Subversion Clothing. All rights reserved.